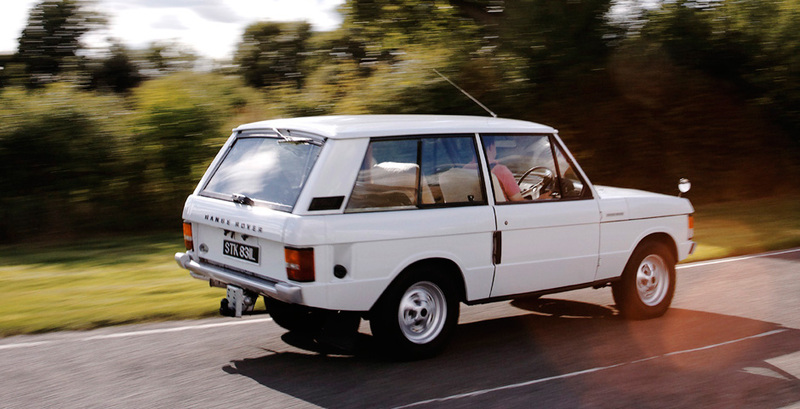 Launched to the Worlds Press in Cornwall in June 1970, the Range Rover caused a major sensation right from the off. The combination of superb Land Rover 4 x 4 ability, refined by the use of coil spring suspension and the silky Rover V8 engine coupled to a constant four wheel drive transmission and all round disc brakes was a revelation. At a three day event based at the Meudon Hotel near Falmouth motoring journalists were introduced to the new vehicle which was destined to become an Iconic world star. Designed by Spen King, the Range Rover was brilliant in its concept and execution, and for the first time ever in a motor car it really could be called a Car for all Reasons. Land Rover marketing department were superb at establishing the car as very desirable and chic and period marketing material pictured the car at work on Country Estates and parked outside the Royal Shakespeare Theatre and Hilton Hotel in London. The Royal Family could be seen driving Range Rovers from the early 1970s onwards. Buyers were quick to realise the prestigious appeal of the Range Rover and waiting lists soon developed which stretched over 2 years. For several years after the launch it was possible to sell the car for up to a 20% profit on delivery, and if you kept it well you could sell after a year for what you paid for it. Early cars came in a number of solid colours with a single choice of Palamino vacuum formed seats and trim. Davos White, Tuscan Blue, Sahara Dust, Bahama Gold, Lincoln Green and Masai Red evoked the Global appeal of such a travelling machine and it was not long before International buyers added to the enormous demand for this wonderful machine. Very few changes were incorporated into the original design for the first few years except for the addition of rear window wash/wipe, power assisted steering and more dog friendly rear mats. 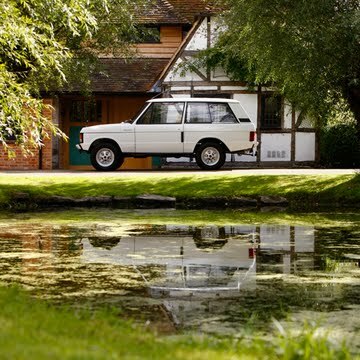 The first major development came in 1981 with the option of ordering your Range Rover with four doors. Gradually the Range Rover was made more luxurious as endless customer surveys showed the car being used more for road use than off road, but Land Rover wisely maintained the cars superb cross country performance eschewing suspension roll bars until 1991 for fear of it restricting the Range Rovers legendary axle articulation. By the early 1990s Land Rover realised that the car would have to be updated as it had now been a top seller for over 20 years and in 1994 the series 2 Range Rover the P38 was launched. Land Rover however, mindful of killing off an Icon continued to produce the original Range Rover now badged Classic until early 1996. Today, collectors prize all of the Classic Range Rovers but most of all the 2 door vehicles and within those the so called pre production YVB registered cars and the 20 Press launched cars registered NXC 231H onwards. Honychurch are currently restoring the first of the press cars, chassis 26 a Masai Red car for their own collection.